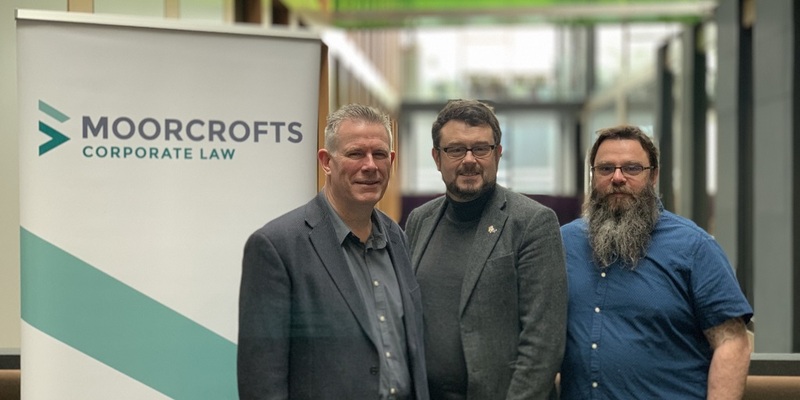 Corporate law firm, Moorcrofts in partnership with Oxford Brookes University have secured six-figures of government funding to research the development of a legal contract management system that uses Artiﬁcial Intelligence to simplify the process, allowing individuals and organisations of all sizes, to access legal services. The grant was successfully awarded from Innovate UK and Research England, as part of a £20 million fund, administered by UK Research and Innovation (UKRI), to support the development and adoption of AI and Data technologies that aim to transform the UK’s services industries. The grant will enable Moorcrofts and Oxford Brookes University to research a cloud-based application for client legal contract management that operates as a stand-alone product or integrates with the client’s CRM system (eg: Salesforce or Microsoft Dynamics). The new application will enable clients to manage complex contractual arrangements for a customer solution as part of their customer management process. Using Artiﬁcial Intelligence and Intelligent Augmentation, will reduce the time necessary for contract review and increase productivity in company legal departments and law ﬁrms, allowing legal services to be delivered quicker, more effectively and cheaper, than is currently possible. It is estimated this new technology will reduce the cost of reviewing a 30-page contract from a current £1,000 – £3,000 and 2-6 hours of legal work to a price of £500-1000 and 0.75-3 hours work, an increase in productivity of up to 80%, or possibly even better if a human review is not necessary. If you would like to know more about the project or the services Moorcrofts offer, please contact Andrew Katz.